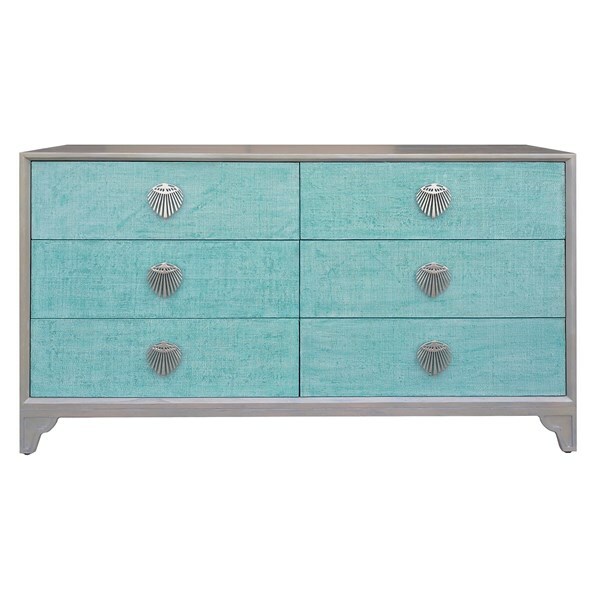 Part of our Florence Broadhurst Collection, this is an art deco styled dresser in teal features "Kabuki" a bold fan like motif on the solid brass hardware. Drawing its inspiration from the avante-garde, Japanese theatre, Kabuki is the art of singing and dancing in a manner that is out of the ordinary, and inspiration from Florence's theatrical past. The solid wood dresser features wrapped raffia door fronts.